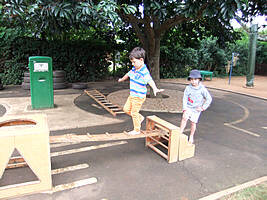 Development of large motor skills. Development of control over small muscles. Development of language skills and vocabulary. Development of a sense of rhythm. 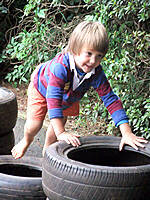 Increased development of large and small motor skills. Expression of the world around us through art. Development of the concept of numbers. Development and co-ordination of small muscles in hands and fingers. Development of the ability to distinguish common characteristics. 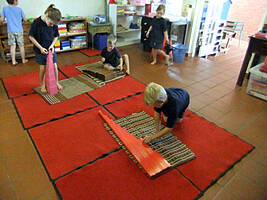 Increased understanding of the concepts of colour, shape, size and textures. Development of the concepts of distance and position. Increased awareness of the world around us. 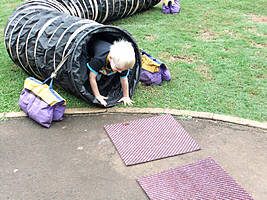 Increased imagination; enjoys dramatic play. Good sense of balance and co-ordination. Ability to distinguish left from right. Can distinguish between colour, size, shape, weight and texture. Increased understanding of number concepts. Understanding of jokes, nonsense rhymes and riddles. 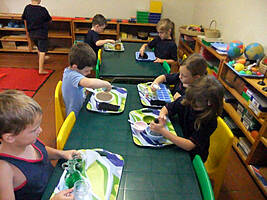 Enjoyment of creative and dramatic activities. Our Grade 0 has been operating for 25 years. 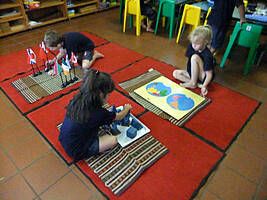 Pre-Primary being our core function, all other learning throughout the school culminates in this very important year. Our Grade 0 class is divided into 2 groups. One group starts the day in the Montessori classroom where concepts are taught through the senses using Montessori concrete apparatus. The other group applies the work covered in a more formal abstract way seated at desks in the classroom situation. 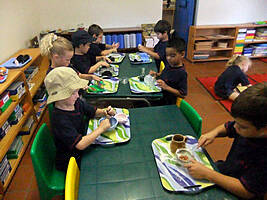 We are in agreement with Piaget who said that the preschool child is at the stage of “concrete operations”. Therefore they need concrete equipment in order to learn. We also advocate movement in order to learn. Repeated movement builds up neural pathways in the brain. Pay us a visit and see how this is applied. Dr Maria Montessori was a physician and educator and observer of human behaviour who was born more then a century ago. Her observations methods and learning materials pertaining to the preschool child are still pertinent to our modern world. She knew that children pass through “sensitive” periods when learning certain things, eg learning through the senses, language, movement and small objects. We are proud to use her methods and apparatus in our school and our children manifest great enjoyment and satisfaction from this wonderful approach. 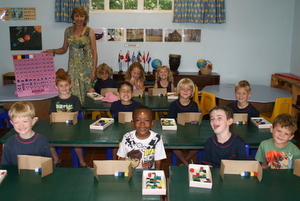 Our Grade 0 learners also do Audiblox, a programme which teaches the foundation skills for reading, writing and mathematics. Audiblox is the ‘brainchild’ of Dr Jan Strydom. He has been involved in consultation and behavioural problems for many years. He holds a doctoral degree in Education and a MA in Philosophy. He is a man of many talents. He speaks several languages, is a trained opera singer and is internationally recognised as a chess problem solver. He co-authored The Myth of ADHD and other learning disabilities and The Right to Read. Audi is derived from ‘Auditory’ because the programme among others enhances auditory skills, while ‘blox’ refers to the main materials used in the programme – little coloured blocks. It is based on a Pyramid of learning through repetition. Neuroscientists believe that repetition is important in the wiring of the brain ie forming synapses or connections between brain cells. 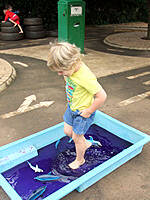 It also teaches a child to concentrate which is not only fundamental to reading but to all other forms of learning. Concentration is a skill and therefore has to be taught. Parents have to ensure that their children are emotionally receptive to learning. The role that the parent plays cannot be underestimated. Achievement differences in school children accounted for mostly by what children brought with them to school. These services are provided by specialists during school hours for children who need them. Fees are charged by the practitioners. Eye and hearing tests are done annually at the school.